CNC Works are harmonious, decorative and precisely finished. Carrying out this kind of projects is not a simple task. It requires not only some specific machinery but also a professional team with a wide experience. With these requirements, Bateig Natural stone, specialists in CNC works, offers quality and excellence in their CNC projects. More than 138 years of experience in the sector have helped us to grow day by day, improving our technique. Along these years, we have become specialists in computer numerical control works. What is generally known as CNC consists on having specific machinery that is controlled by a computer. It is a system that allows us to control the coordinates and position by using specific software. Numeric Control machinery is native to United States. In 1950 there was a growing necessity of producing on a broad scale in a limited space of time, reducing the costs. As a consequence, in 1970 some computers were introduced in this kind of machinery and they were called Computer Numerical Control (CNC). 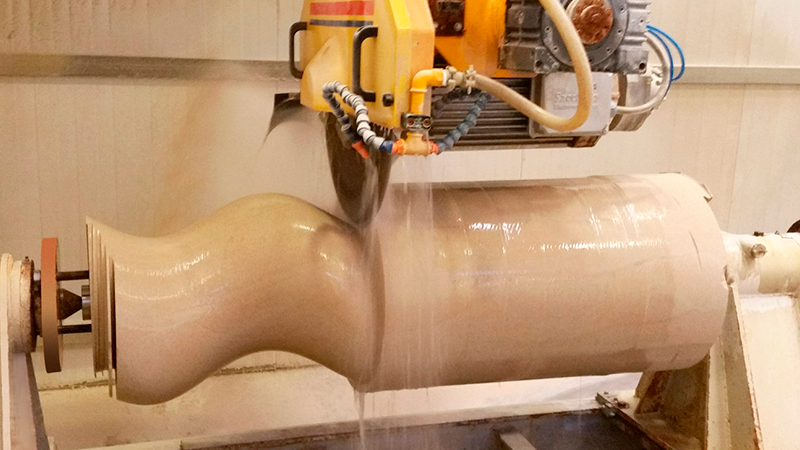 Our company counts with 6 CNC machines, which allow us to work natural stone. These computers control and monitor the machine movements over the material (cutter, milling machine, etc.). Besides, it is important to emphasize that this kind of stone is suitable to be shaped in many different ways. In fact, some of our projects demonstrate the exclusiveness and versatility of our natural stone. When using CNC machines, precision is guaranteed. The coordinates, therefore, gain importance, since this is the best way to shape and work natural stone precisely. In Bateig, we rely on automatic programming and, for this reason, numeric control is really important in our fabrication process. 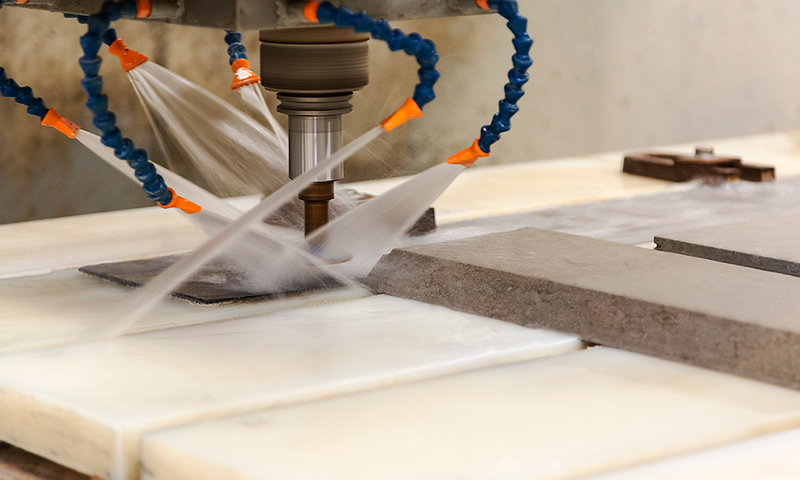 From complex designs to artistic creations, our natural stone is suitable to be shaped in too many ways thanks to CNC machines. 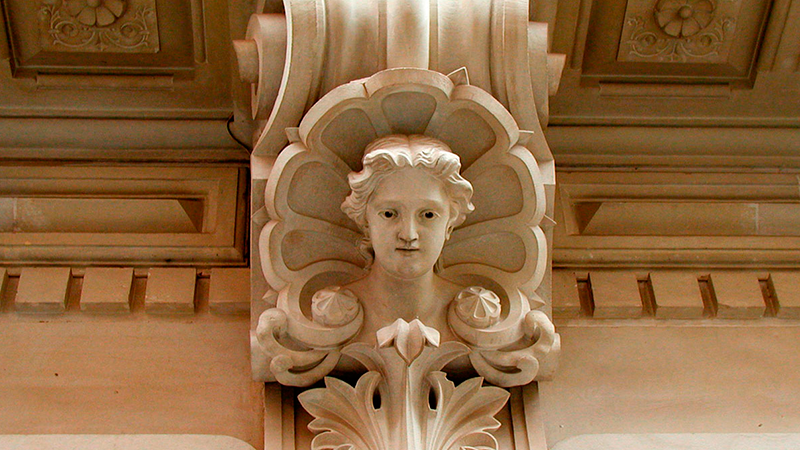 In Bateig natural stone we are specialists in CNC works and we have a wide experience in this field.